The Front Post Frenzie Potholder is a perfect way to practice using the front post stitch. 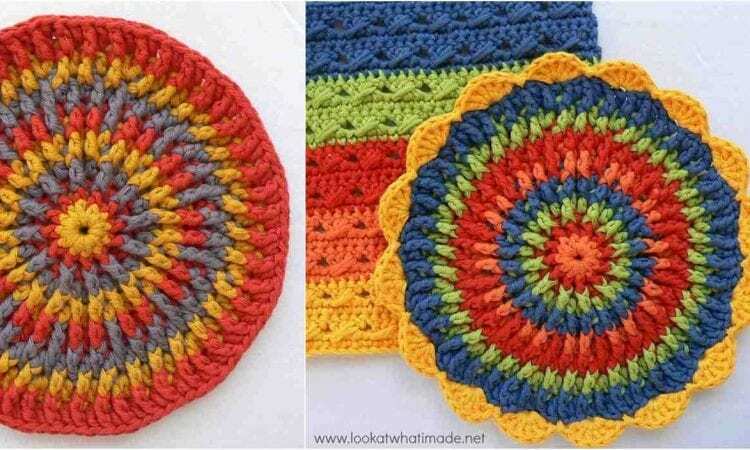 This pot holder is an attractive project that makes use of a less frequently used stitch. In our opinion, this is unjustly so, because it’s an attractive alternative to more traditional stitching methods. The pattern includes SBS photos and links to some tutorials as well. A link the free pattern is at the end of the post. love our work, keep it up. and also thank you for sharing your patterns with us.